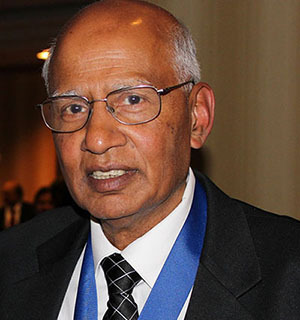 Professor Mathuram Santosham received his MD from Madras University, India, in 1970. He subsequently moved to the US and obtained an MPH degree from the Johns Hopkins University in 1975. He also completed a Fellowship in Pediatric Infectious Diseases at Johns Hopkins Hospital. He is currently the Director Emeritus of Johns Hopkins Center for American Indian Health (CIAH). He holds Professorships in the Departments of International Health and Pediatrics at Johns Hopkins University.